LAUREL, Md., June 7, 2016 – ROSS Companies, a leader in multifamily acquisitions, property management and renovation in the Mid-Atlantic region, today announced the acquisition of Horizon Square, a transit-friendly apartment community in the Anne Arundel County section of Laurel. ROSS will implement improvements to the community, which features 254 apartment homes amongst two, six-story brick buildings. Improvements to the building interiors and amenities will be completed in conjunction with the implementation of a digital marketing strategy. These efforts will help Horizon Square meet the demand for quality workforce housing in a neighborhood that serves as the approximate midway point between Baltimore and Washington, D.C.
ROSS’ planned renovations include updating the hallways with new carpet, new paint, an LED lighting retrofit, new glass storefronts at all entries, new windows, and to subdivide excess land for future development. Horizon Square will also receive a boost in its digital presence from ROSS, which will manage its online reputation while increasing advertising efforts. ROSS will improve onsite operational efficiencies through technology-enabled services, including online and mobile rent payment, service requests and account management. Horizon Square benefits from a prime location along Laurel’s Ft. Meade Road, situated minutes from Towne Center at Laurel, one of the area’s emerging mixed-use developments. The site is also one mile away from the planned community of Russet, which offers an abundance of national service retailers. In addition, Fort George G. Meade, Maryland’s largest employer, is within five miles. It is home to US Cyber Command and National Security Agency Headquarters. This commuter-friendly community sits 1.5 miles from the Baltimore-Washington Parkway and 3.5 miles from Interstate 95, which provides efficient access to the downtown corridors of each city. The Laurel MARC Station, a historic passenger rail station, also is within 1.5 miles of Horizon Square. Washington, D.C., boasts nearly 3.2 million jobs and the nation’s fourth-lowest unemployment rate among the nation’s largest metro areas. Horizon Square consists of 1-, 2- and 3-bedroom apartment homes, with high-demand 1-bedroom homes accounting for 53 percent of the total. Community amenities include a fitness room, clubroom, swimming pool and playground. ROSS Companies, founded in 1983 in Bethesda, Md., is a recognized leader in multifamily acquisitions and investment, development, property management and renovation. 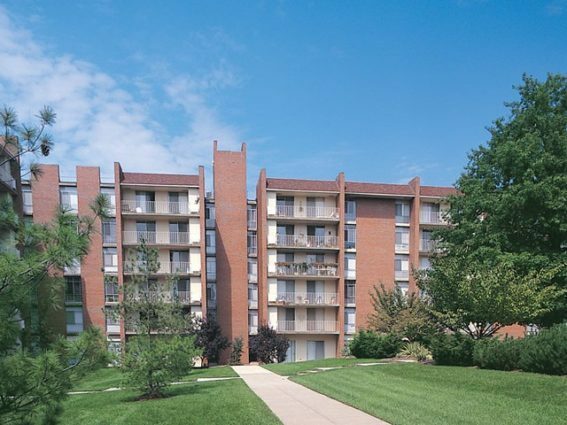 With a managed portfolio of more than 11,000 apartment homes in 32 communities, the privately held company is one of the most active multifamily real estate firms in the Mid-Atlantic region. ROSS Companies is comprised of three affiliates – ROSS Development & Investment, ROSS Management Services and ROSS Renovation & Construction. In 2016, ROSS Development & Investment is celebrating its 33rd anniversary and ROSS Management Services is celebrating 28 years in business. In March, ROSS Management Services was honored for the second straight year with a National Resident Satisfaction Award from SatisFacts. In 2016, 12 ROSS-managed apartment communities were awarded the Apartment Ratings’ 2015 Top Rated Award, reflecting ROSS Companies’ unwavering commitment to customer satisfaction. These annual awards recognize communities with outstanding resident satisfaction ratings as measured on ApartmentRatings.com. For more information about ROSS Companies, visit TheRossCompanies.com.